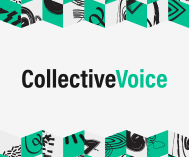 Collective Voice is the national alliance of drug and alcohol treatment charities. It was created in 2015 by voluntary sector organisations coming together to ensure the voice of the the drug and alcohol treatment sector, and the people who use its services, was heard in policy and political discussions. We have witnessed first hand the transformative power of treatment and support, not just to the person getting help but to their families and communities and want to make sure that as many people as possible benefit from this help. Our members offer support over 200,000 vulnerable adults and young people annually across the country.